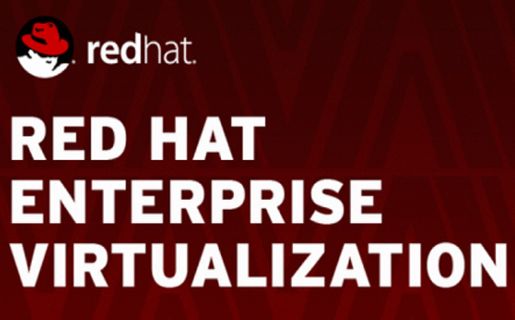 This howto is going to walk you trough an installation of hosted engine on rhel7 for redhat virtualization 3.5. Network: Your hostname (hypervisor and hosted engine) must have a dns name which resolve! Software: A rhel 6.5 iso as 6.6 did not work for me. 3. Add the following firewall rules in /etc/sysconfig/iptables and restart it. 6. Copy the rhel-server-6.5-x86_64-dvd.iso to your hosted engine server. I copied it into tmp. Do NOT mount the 6.6 image. The setup script will do that for you! Make sure that the image is world readable as vdsm needs to read it. 9. If everything went well you you will see the following screen. Use temporary password "2618VYiP" to connect to vnc console. Please note that in order to use remote-viewer you need to be able to run graphical applications. This means that if you are using ssh you have to supply the -Y flag (enables trusted X11 forwarding). Otherwise you can run the command from a terminal in your preferred desktop environment. /bin/remote-viewer vnc://yourrhel7server:5900. Follow the installer to complete the rhel 6.5 installation. Once your VM shuts down press 1. 10.Ssh to your vm after it rebooted and register your system to rhn with the following channels. Welcome to the RHEV 3.5 setup/upgrade. [ INFO ] Engine replied: DB Up!Welcome to Health Status! Please shutdown the VM allowing the system to launch it as a monitored service. The system will wait until the VM is down. 18. Click on Administrative portal and login. 19. 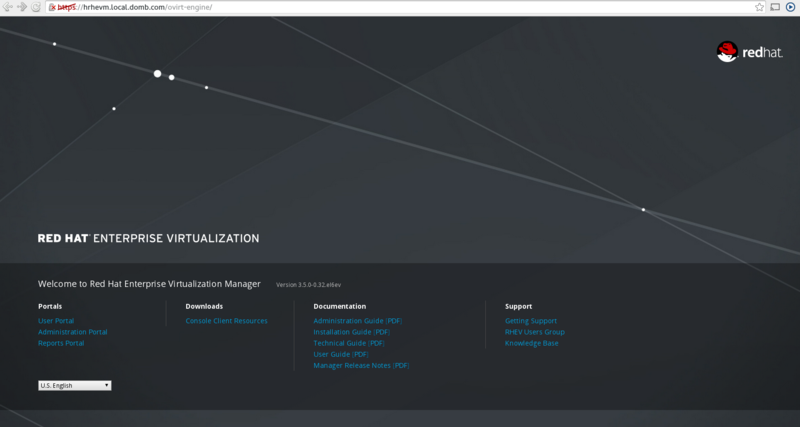 You should now see your hypervisor in the hosts tab and the hosted engine in the virtual machines tab. 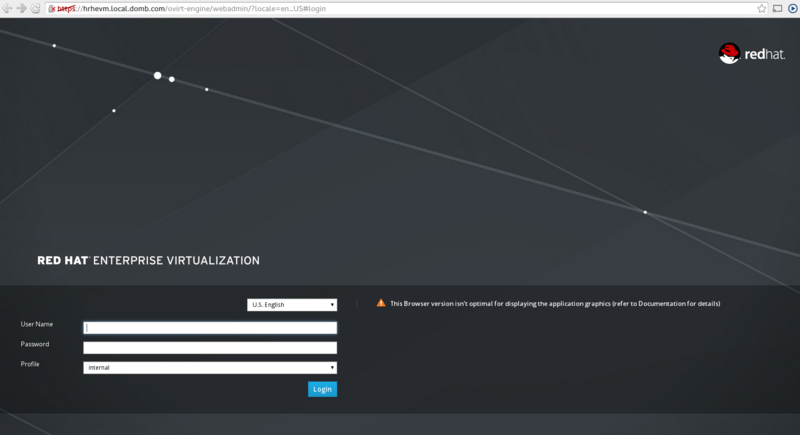 Do you know how to set a default route on the hypervisor nodes which will survive across reboots?